For more than 25 years Robin McDonald has been teaching and coaching adults and teens about positive body image and self-love. Robin is passionate about helping others learn to love their bodies and themselves and has spent most of her adult career in the health and fitness industry, including working with teens as a counselor and as mentor in schools. She holds a Masters Degree in Counseling with an emphasis on body image and bullying. Robin has also recovered from her own eating disorder and knows all too well the struggles of recovery. Additionally, as the mother of two grown daughters she understands the importance of setting a positive example of accepting and loving yourself just as you are. She has personal and professional experience in overcoming issues around eating and exercise and letting go of weight and appearance as your worth. Having conquered these challenges herself, she offers hope and inspiration to others, as she helps them make peace with food, accept their bodies and learn to fully enjoy their lives! Robin is passionate about helping others discover their motivation for recovery, and she gets great satisfaction when her clients find fulfillment and happiness in their lives. Robin wants to empower you to take control of your life and feel good about who you are! If you are looking for a recovery coach, Robin would be honored to help and support you through your recovery and be there to mentor you through your journey back to your healthy mind and body. She believes everyone, including you, deserve a full recovery. 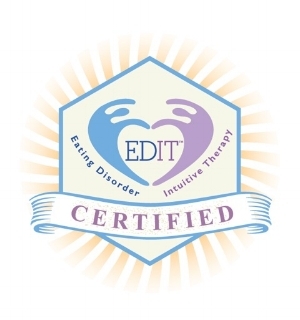 If you have a therapist and dietitian and feel like you need extra support around the work you are doing with your team to follow through on your goals, an eating disorder coach is right for you. If you struggle completing meals according to your meal plan, completing meals without compensatory behaviors, overcoming food fears and food rituals, or decreasing other eating disorder behaviors. If you need support outside of an office such as with grocery shopping, meal preparation, challenging yourself to eat at restaurants, buying new clothes after weight restoration, exercise to help you redefine your relationship with movement, or having someone to text or e-mail throughout the week for extra support to not engage in eating disorder behaviors. If you have been recently discharged from an eating disorder treatment program and feel like you need extra support for your initial time at home, especially if you live in a small community where specialized eating disorder services are limited or not available. If you have tried therapy, dietitians and a treatment team or even a few and nothing has worked, and you want to explore coaching as an alternative. If you are far along in recovery but it feels like you could now go further with a coach who is with you in real-life situations rather than continuing with your previous team. If you are very early in your eating disorder or have disordered eating and you want to try a coach first before exploring other options because your symptoms are not too limiting and you think that coaching might be enough or will provide information about your real degree of symptoms and functioning. I do not believe just because you have gained the weight that you are not still suffering. Weight gain does not mean recovery. I know that recovering fully is not just about recovering your relationship with food, it is about recovering your relationship with your life. I know from personal experience that recovering from your eating disorder will probably be the hardest thing you've ever done in your life. Whether you have struggled with disordered eating or not, we will work together to achieve any and all goals you want to reach in a safe, judgement free space. As a recovered anorexia survivor, I know what its like to feel alone without anyone understanding how you feel. Depending on each client's individual needs and stage of recovery, I can work as part of a wider treatment team or directly with the client. My aim is to help facilitate a safe and secure avenue towards recovery, with a focus on setting achievable goals and moving towards life after an eating disorder. I know from personal experience, and through my training, that recovery is achievable and that life without eating disorder thoughts and behaviors is possible with the right support and guidance. $90 for a 50 minute session or $45 for a 25 minute session which can be done via Skype, phone or in person. To book your free 30 minute consultation, get in touch below!